The addition will let people stream AirPlay audio from an iPhone, iPad, or Apple TV, whether using Siri or the iOS Control Center. 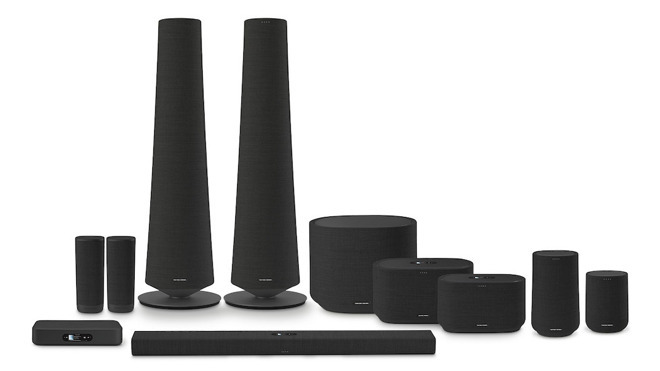 Currently speakers like the Citation 100 support Bluetooth, Spotify, Google Assistant, and Google Cast. Citation speakers are aimed at the mid- to high-end audio market, and range in cost from the $199.95 for the Citation One to $2,499.95 for a pair of Citation Towers. Siri options will be relatively limited, letting people push music to a Citation from an Apple device. A full range of commands is available with Google Assistant, such as weather, smarthome control, and general knowledge questions. I miss their Creature speakers. The speakers themselves became available for purchase earlier today, as is the Enchant series. Isn’t Harman Kardon owned by Samsung now? As long as the speakers aren't battery powered, I'll consider them.